Description: Normally, stakeholder analysis shows the general steps of assessing a system as they influences relevant parties. 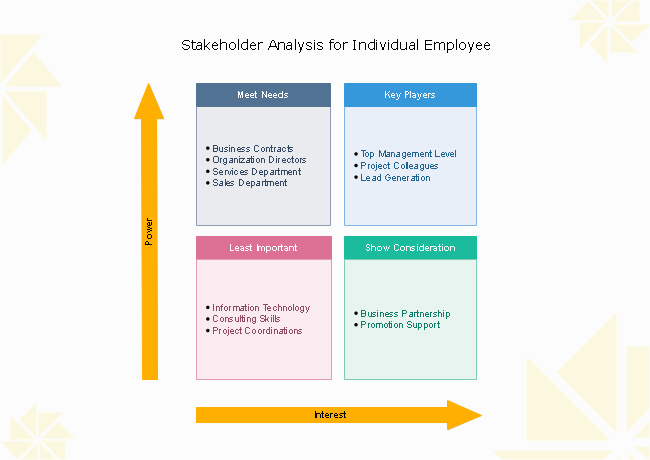 Personalize this individual employee stakeholder analysis template to evaluate your own career development plans. Various SWOT matrix templates on this sharing community are available to download and customize. Upload your own great SWOT matrix designs with others and enjoy the resources together.